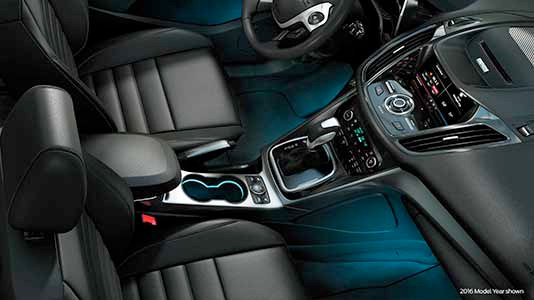 Set the mood by adjusting the color and intensity of the light that fills footwells, door panels and cupholders. 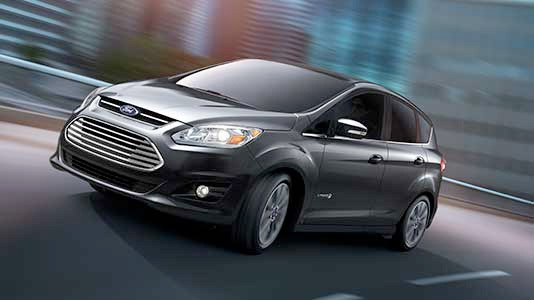 Standard on C-MAX Hybrid Titanium and C-MAX Energi plug-in hybrid Titanium. The available power liftgate makes loading and unloading cargo a breeze. 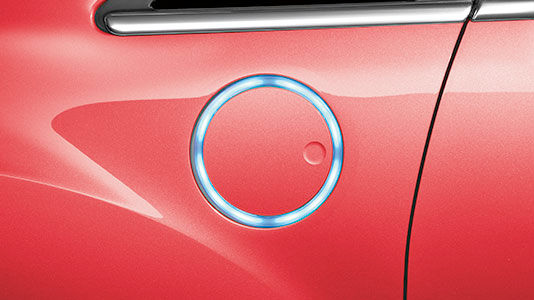 Simply press a button on the key fob, or if you're inside the vehicle, press the button on the center console and the liftgate opens automatically. C-MAX Hybrid shown. 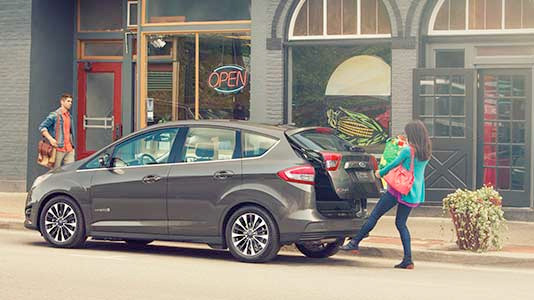 The Reverse Sensing System*, part of the power liftgate and Rear Park Aid Package uses an audible signal to help alert you to an obstacle up to six feet behind your vehicle when you're slowly backing up. The alert sound becomes more frequent and louder the closer the vehicle gets to the object. Regenerative braking recovers energy that is usually lost through your friction brakes and engine drag during braking or coasting and stores that energy in your battery for later use. The Brake Coach appears after the vehicle has come to a stop. It coaches you to brake in a manner which maximizes the amount of energy returned through the Regenerative Braking System. 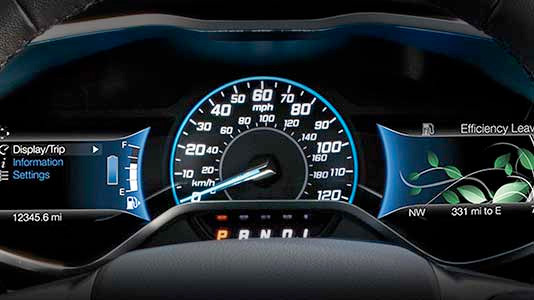 The percent displayed is an indication of the regenerative braking efficiency with 100 percent representing the maximum amount of energy recovery*. 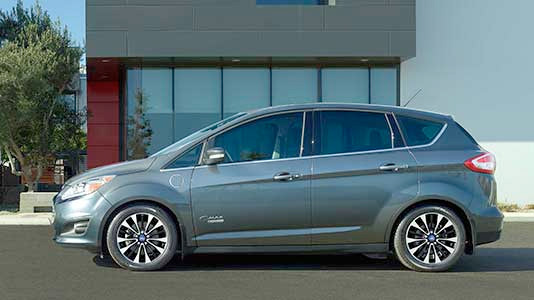 Fully charge your 2017 C-MAX Energi in approximately 2.5 hours* with a Ford-recommended 240-volt charging solution available for purchase from AeroVironmentTM . Both portable and hardwired stations are available. Questions? 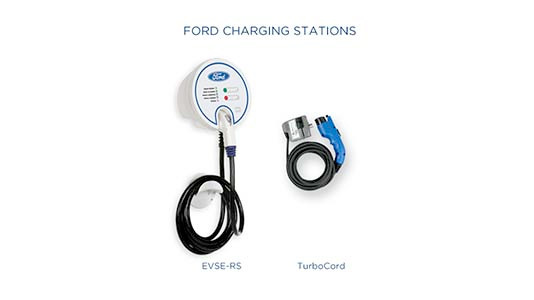 Call 1-888-219-6747 or visit evsolutions.com/ford. 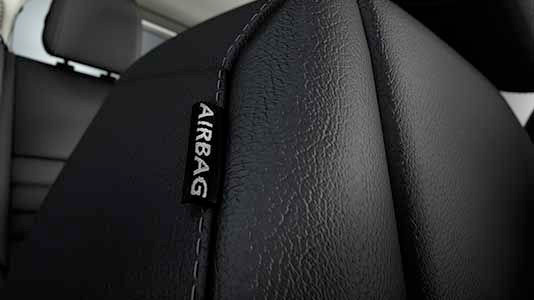 C-MAX Hybrid and C-MAX Energi plug-in hybrid both come with side-curtain airbags.